Really nice and friendly people!! They got me out of a car that I was having so much trouble out of and into a great car that I already love! I had a great experience with Chuck!! Love my new vehicle. Thanks for helping me when I needed it. I appreciate it. I had a very good experience here. The sales team worked with me on my down payment and my financing options and made sure that I left with the vehicle I wanted. Very friendly people here that will try their best to help you out. I want to thank you so much Kamesha and DeWayne for working with me and making it happen. You got me in the perfect little car, I can not thank you enough. You are Awesome! If you need a car this is the place to go. Very friendly and will work with you any way they can to get you in the car of your choice !! Great place! So friendly! I got in my new car quick and easy! I had a pretty low down payment, a nice car with low miles! Had a huge selection for me. The best part is the 2 year warranty! Glad that I'll be covered for a while! I have had a great experience with you guys. Kamesha Williams has been a great help with keeping me up to date with service and how long my car would have been in the shop. As well as you guys paying my service bill when my air compressor went out. Thanks AutoMax for your excellent service, you guys should definitely go and make sure to ask for Kamesha Williams as your sales rep. Tell them Jamie sent you. Excellent service and very polite and friendly people!!! They WILL get you in a car you want! Very good payments! I recommend to everyone! At AutoMax of Jonesboro, we have the best used Cars, Trucks, SUVs, Sedans in the 72404 area. Whether it’s your first time buying or your one of our many repeat customers, you have come to the right place. Here at AutoMax of Jonesboro we cater to Jonesboro, Paragould, Blytheville and anyone in the 72404. We are a “Buy Here Pay Here” auto dealer and we can help you even if you have bad credit, poor credit or need a second chance auto loan, we can help you get in your new car, truck, Sedan or SUV today! Traditionally the types of vehicles that “Buy Here Pay Here” dealers offer are late model high mileage inventory, but we have the BEST used, pre-owned and affordable vehicles that Jonesboro, Paragould, Blytheville or anyone in the 72404 area can offer. 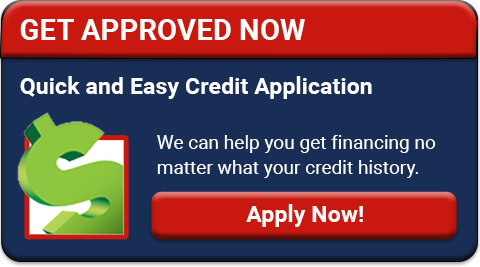 Do you have Bad Credit or Poor Credit? That’s OK! Have you ever needed a Second Chance Auto Loan? Great, you have come to the right place. Even if you have had a past repossession, here at AutoMax of Jonesboro we understand your situation and can help you get approved for a used car loan, used truck loan, used Sedan loan or used SUV loan of the your dreams! If you need an auto loan in Jonesboro, Paragould, Blytheville or anyone else in 72404 area then you have come to the right place, whether you’re a first time buyer or one of our many repeat customers and have bad credit, poor credit, no credit or have things on your credit report that are holding you back from your automotive dreams then come on down to 3612 Stadium Blvd. Jonesboro, AR 72404 TODAY! We do have the best “Buy Here Pay Here” Dealership that Jonesboro, Paragould, Blytheville or anywhere in the 72404 has to offer! Here at AutoMax of Jonesboro we take pride in our inventory; we let our product sell itself! We have the best pre-owned Cars, Trucks, SUVs, Sedans in all of Jonesboro, Paragould, Blytheville. We can and will get anyone financed that the law will allow, because here at AutoMax of Jonesboro (where you purchased the vehicles from) is also the same institution that will carry the note on the loan. This means there is no traditional bank approval needed when you purchase your new car, truck, Sedan or SUV from AutoMax of Jonesboro here in the lovely 72404 area! Even if your FICO score is below 600, which would normally prohibit a 72404 resident with bad credit, poor credit or even no credit from using traditional financing options or getting approved for a loan, well don’t worry. With our amazing % loan approval success rate, we can help fast track getting you approved for the car, truck, Sedan or SUV of your dreams today! Most Jonesboro, Paragould, Blytheville BHPH (Buy Here Pay Here) dealers tend to stock high mileage late model vehicles that sometimes break down on you in a couple weeks of your purchase and still leave you with a monthly car payment. With our in house financing specialists you can get approved for a great used car loan in almost any situation even with bad credit poor credit or no credit at all. Problems like unpaid bills such as medical bills late credit card bills charge offs or even bankruptcy! Come on down to AutoMax of Jonesboro today to see how we are becoming the #1 BHPH (Buy Here Pay Here) dealership in Jonesboro, Paragould, Blytheville or anyone in the 72404 area!